Buckwheat is called the queen’s wheat in Ukraine; it contains many different vitamins AND makes your bones stronger. 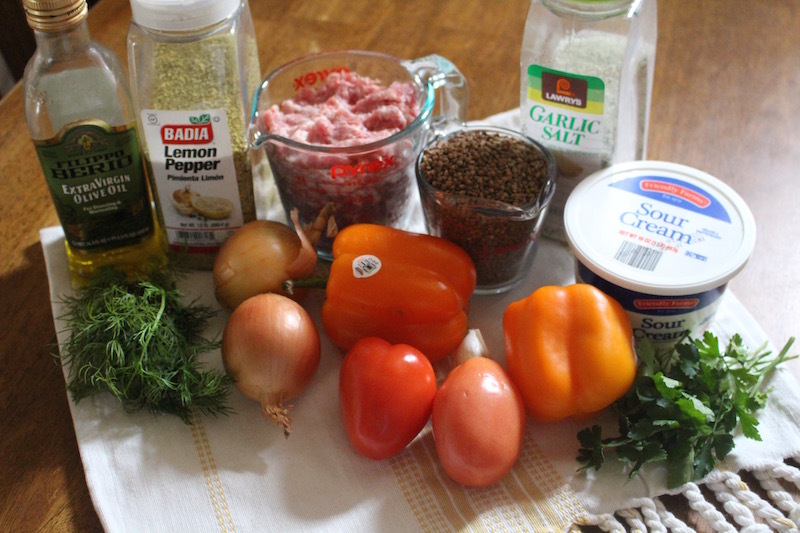 Today we will be making a grounded meat Buckwheat Porridge. 1.) Wash and dry BuckWheat 4 times under cold water. Place inside a small pot and add water, turn the heat on and bring it up to a boiling stage and remove heat. On low heat cook the wheat for 10min. 2.) Wash and dry all vegetables, Cut all vegetables into cubes. Add grounded pork to a hot oiled skillet, Add seasoning. 3.) Add all vegetables into the skillet, fry for 7 min on medium heat. 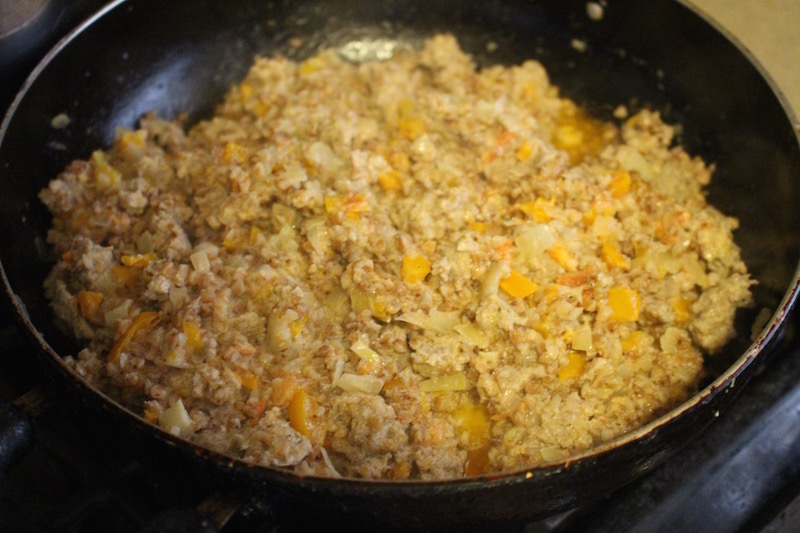 In a medium bowl combine sour cream and water, add the sour cream mixture and the buck wheat to the skillet. 4.) Mix well, and cook for 6 min. Buckwheat is called the queen's wheat in Ukraine because it is very healthy and makes your bones stronger, it also includes many vitamins. 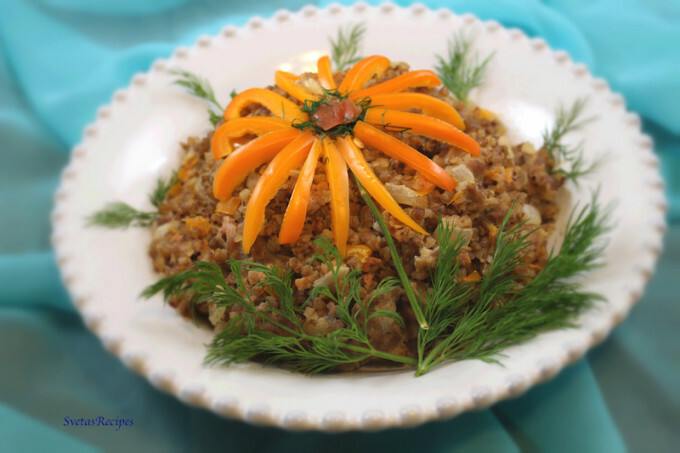 This porridge is also very popular in Ukrainian, today we will be making a grounded meat Buckwheat Porridge. Wash and dry BuckWheat 4 times under cold water. Place inside a small pot and add water, turn the heat on and bring it up to a boiling stage and remove heat. On low heat cook the wheat for 10min. Wash and dry all vegetables, Cut all vegetables into cubes. 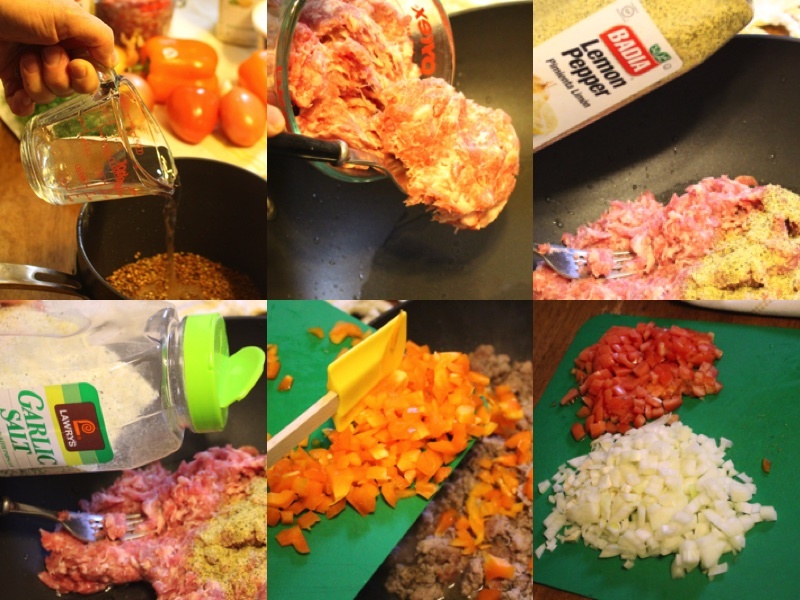 Add grounded pork to a hot oiled skillet, Add seasoning. Add all vegetables into the skillet, fry for 7 min on medium heat. 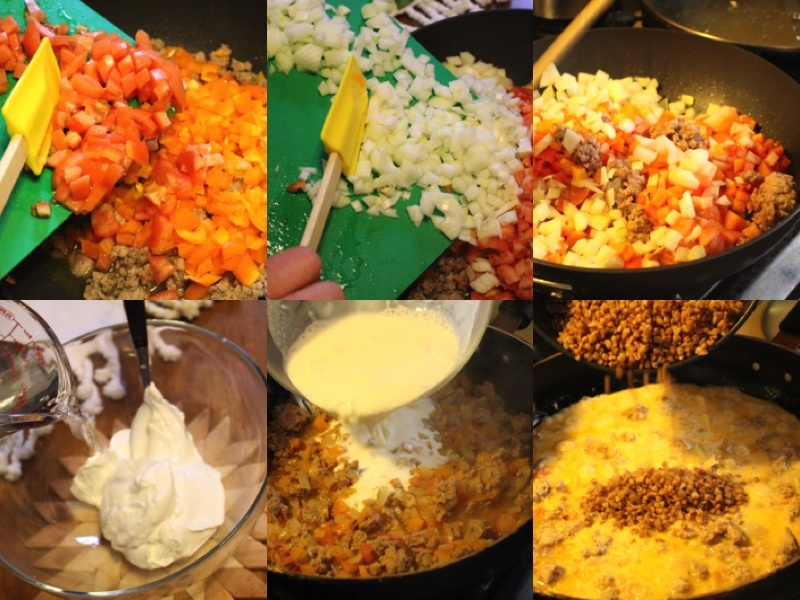 In a medium bowl combine sour cream and water, add the sour cream mixture and the buck wheat to the skillet.Mix well, and cook for 6 min.